Who has control over YOUR energy? Let's take a look at some historical insight to figure how our global path dependency on oil and coal were created. Britain’s competitive advantage lied heavily on its country’s seemingly endless supply of coal that conveniently lied on or close to the surface. Coal and oil created on-demand energy in a way that was incomparable to bio-fuels. The easy accessibility of this fossil fuel made extraction and labor cheap. The science behind this natural resource is that these fossil fuels were formed from a collection of ancient sunlight, animal, and plant remains. As centuries dated our planet, the substances that we know of now as coal and oil were formed from the pressures of earth’s layers. In other words, when we started burning this natural resource to create energy, we simultaneously burned away centuries of history. 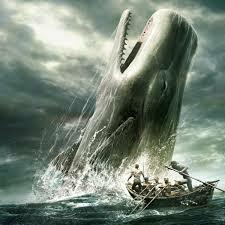 However, this mentality was not present during the industrial revolution. The advantages of on-demand energy washed away any possible uncertainty. Manpower no longer was a limiting factor as people turned to coal-powered machines for inspiration. Factories boomed and the opportunity to leave the agrarian lifestyle became possible with the creation of thousands of low skill level jobs, initially within the textile and coal industry. Innovation soared, especially within the energy sector, and inventors such as Thomas Edison, creator of the light bulb, and Nikola Tesla, creator of fluorescent lighting and Alternating Current (AC) electrical power system opened up a new and brighter way of life to the world. The 1870s marked what would be the known as second Industrial Revolution in the United States. Much like Britain’s bountiful coal supply, the USA discovered their ample supply of oil and the benefits of refining it in create power. Gone were the days where oil was nothing but a lubricant for wagon wheels. Within this discovery, John D. Rockefeller created the first oil industry, crude oil fields, and pipelines. By the 1890s, he single handedly controlled over 90% of the world’s oil companies, creating a near monopolistic oil industry. Evidently he quickly became the first oil billionaire. It became a race to produce as much energy as possible in order to produce as many factories as possible, in order to produce as many products as possible. In other words, the industrial life became a feverish snowball effect and our path dependency on nonrenewable resources was created. You turn on your car only to see that you are already running on empty and wonder if you can make the twenty-mile ride home to the San Diego coastline. 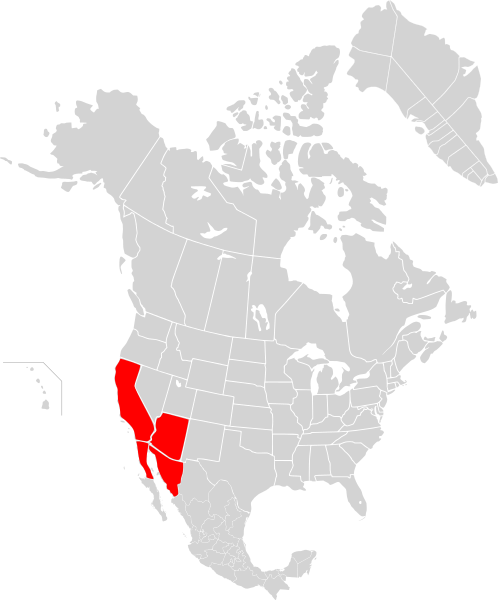 Radio announcers inform that the blackout has affected more than 7 million people throughout central California to southern California, western Arizona, and even through northern Mexico. You panic as you realize that you do not have reception to call your significant other to find out if (s)he is ok. You remember that you heard that hundreds of service towers have been shut down. You decide to brave it out as you roll out into the bumper-to-bumper traffic but run out of gas minutes after getting off the freeway into your neighborhood. You abandon your car on the side of the road like dozens of others and walk out into the 95+ degree Fahrenheit (35+ degree Celsius) weather by groups of people camped out by gas stations with heat-exhausted faces. It took four hours to get home and find your significant other boiling water on the BBQ. Apparently the energy blackout affected sewage-pumping stations, making tap water unsafe to drink. Hours go by and you both decide to sleep outside to keep cool. When you wake up, electricity is back, and the realities of the energy blackout are revealed. Supermarkets were obliged to throw out tons upon tons of spoiled food products, leading to a catastrophic monetary loss. One San Diegan hospital faced life-threatening dangers when its back up energy generator took two hours to function. Convenient stores closed off service to all but four to five customers at a time to deter riots. Though this blackout lasted for 16 hours, people were on the brink of full-fledged panic. Life stood still until energy was restored. This event, known as the Great Southwest Blackout of 2011, was the largest power failure in Californian history. A procedural error made by a technician caused the line to trip, causing the entire Southwest Power line cascade to a blackout. This event shows how vulnerable the USA energy grid is, much like those of many countries, and how safeguards are not secure enough to prevent a future blackout. With this real-life narrative, it is easy to grasp the gravity of our modern day reliance on energy. Nearly every aspect of our lives is powered by energy that we most of the time, take for granted. What will you do to change this path dependency? An ideal and energy efficient situation would be to install radiant heating and cooling in a building, which would demand less energy from energy generation sources, in combination with a solar panel installation to meet the needs of the reduced energy demand. This reduced energy demand would allow a smaller, and less expensive solar system installation. What would be the next step towards energy independence? Plug a vehicle into the equation. Homeowners could opt to invest in an all electric or hybrid plug in vehicle that can be simultaneously charged over the night with the solar system's excess stored energy. This would save charging time during the day, and would ensure the electric/hybrid vehicle owner that her/his energy is coming from a clean source. Let us know what you think! Farmers, rural businesses, ranchers-here is your chance to fund your energy efficiency/renewable energy projects! Apply for the Rural Energy for America Program (REAP) grant. Total funding pool is $60million. The U.S. Department of Agriculture is looking to name several grant and loan recipients to help them along their path to sustainability, energy efficiency, and renewable energy. Deadline extended to 31 May 2013. 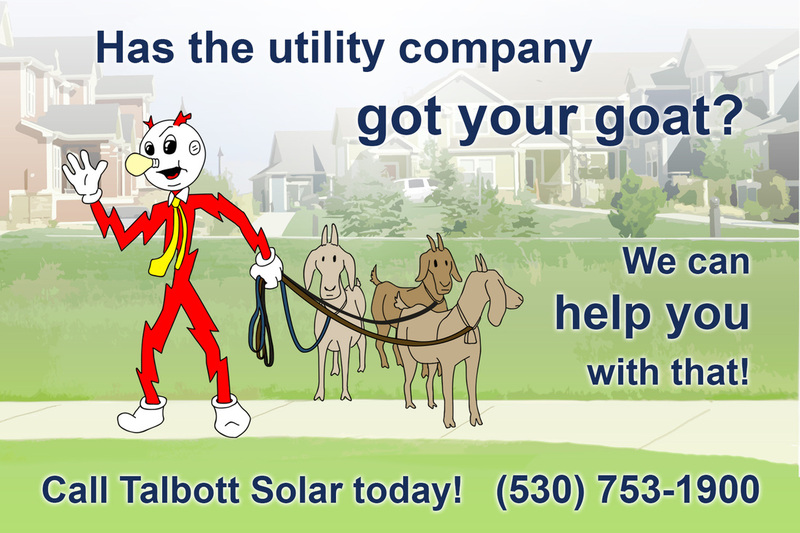 We, at Talbott Solar, had the pleasure of working with Pryor Farms in Winton and JT Farms in Woodland in 2009. Both were recipients of REAP grants which subsidized 25% of their solar system’s costs. With Pryor Farm’s $13,270 grant, we were able to install a solar photovoltaic system, which continues to provide electricity for their farm’s irrigation pump. JT Farm’s $19,964 grant permitted us to install a photovoltaic system that subsidizes 18,460 kWh of electricity each year. Both of these systems are still on track to eventually gain a 100% return on investment. Working on this project opened our eyes to the importance of supporting our local farmers, ranchers, and rural businesses along the path to sustainability. Grants like REAP are especially needed as farmers battle with rising electricity costs associated, in large part, for irrigation pumping. We invite all qualifiers to apply for this extraordinary opportunity and hope that we stay in mind when selecting a solar installer. Where are you leaving your carbon footprint? From what sources? There are not many people out there that diligently track their energy consumption year after year; that should be something corporations do, not households right? Wrong! Knowing where your carbon footprint lies keeps you aware of the level of your energy usage, and in turn may help you improve your lifestyle choices. 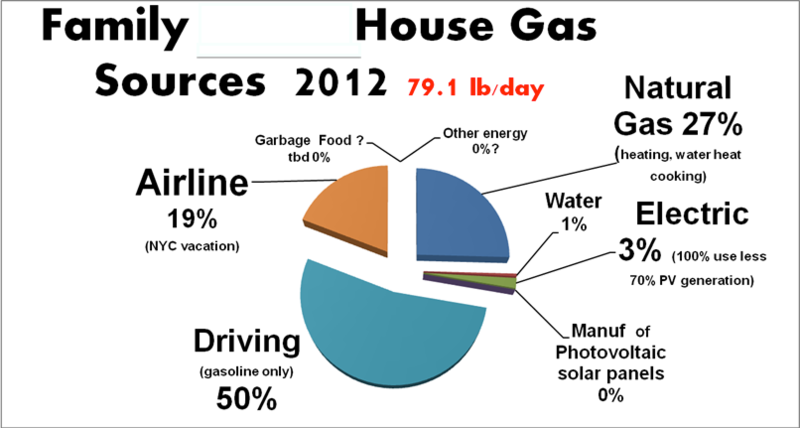 An anonymous client of ours has taken the liberty of sharing his household's energy usage graphs with us. We are happy to see the savings generated year after year! 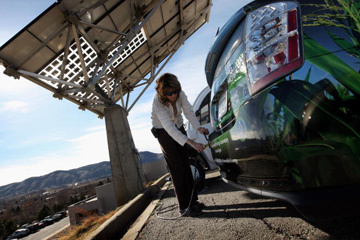 Keeping your solar panels clean enhances energy generation. You can either check out our blog below to find out how you can clean them yourself or call us to schedule a PV panel cleaning appointment. It's no lie that heating up your pool consumes enormous amounts of energy. Ever wondered how you could counter your pool's energy consumption? 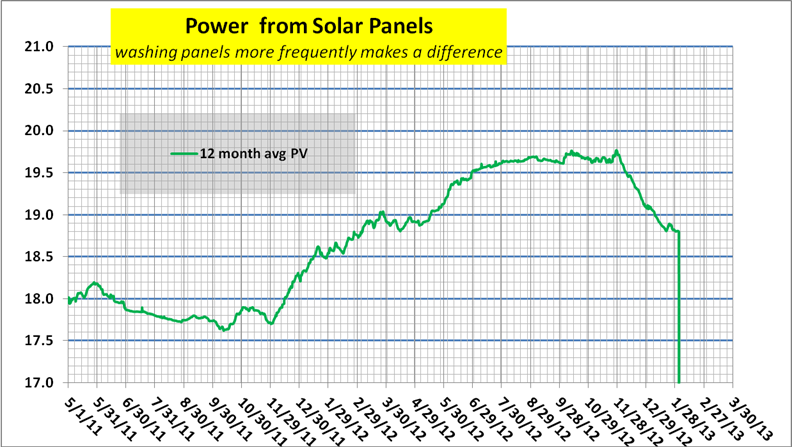 PV pool panels can help you out. Do you have any feedback to share with us? We would be happy to share and discuss your energy usage. It may be easier than you think to save energy this New Year. This time we are talking about considering a re-lamping retrofit for your home or business that can bring down your energy consumption anywhere from 45-80%. You can check out how comfortably lit Dr. Guererri’s Optometry Office in Davis, CA is now that we have performed a re-lamping retrofit in their office. Now that the entire office’s bulbs are replaced by LEDs, they will see a total of 80% savings in electricity. Go ahead and take a look at what kind of light bulbs you have in your home or business. It may be possible that you have never thought about the benefits of changing out your light bulbs, although lighting may account for 30% of your household or business’ energy bill. Read up on the three different light bulb options below and decide whether or not you see it fit to make the simple switch to LED. Accustomed to the commonly used old school halogen light bulb? Although its purchasing price is cheap, its characteristics quickly drive up costs on your energy bill. The energy that goes towards powering a halogen light bulb is unevenly dispersed; only 10% of the electricity used to power the bulb is used to produce light, while a whopping 90% of the allotted energy heats up the bulb to dangerous levels, posing a threatening fire hazard. This can also means that as your bulb radiates off heat, it simultaneously obliges you to use your central cooling system to cool down your living or working space. Furthermore, a halogen bulb’s life only lasts about 1,000 hours, making regular replacement a must. These funny looking bulbs may deter you from purchasing them, but the fact is that the near 80% energy savings compared to halogens will be more than worth the slight eyesore. Because these 10,000-hour long lasting bulbs come in a wide range of light temperature and light hue options, you can personalize each area of your home according to your taste. Although CFL’s are made up of gas and mercury, these chemicals should not pose any health issues as long as they are properly disposed of. If this aspect deters you from purchasing CFLs, consider our third option. If you want the best energy savings light bulb, LEDs are the way to go. Lasting 80,000-100,000 hours, they have the longest life span out of any other bulb, therefore needing minimal maintenance. Furthermore, because they operate at low voltage levels, they pose near-to-no fire hazard, which makes them perfect for Christmas/holiday lights, and can be conveniently used for outdoor lighting in the rain or snow. These environmentally friendly light bulbs are easy to dispose of as they are made up of diodes and furthermore are pleasing to the eye, as each bulb is encapsulated by an outer covering. While its purchasing price is anywhere from $5-$25, we are confident that its initial cost will be greatly compensated by the immense energy savings that will reflect in your energy bill. Remember that saving energy may just be as easy as making the switch to a different light bulb. We will be happy to help you assess your lighting needs to lower both your carbon footprint and energy bill. 1. BUY LOCAL: Visit your local community garden, meet your farmer, and purchase fresh produce that will surely make your meal a better tasting one. a. Want a CHALLENGE? Try integrating one or several types of endangered species into your menu such as: Hauer Pippen Apples or Algonquin Squash; both of which are becoming more scarce by the year. 2. SCRAP IT UP: Make sure to set aside a compost bin in your kitchen so that you can reduce your waste. Remember that almost anything can go into your compost, however if you want to reduce the amount of critters, stay away from animal products or sugary substances such as meat and cranberry sauce-drenched leftovers. a. Want a CHALLENGE? Nurse your compost into mulch and add it to your personal garden. Although it may take some time to get your perfect compost recipe, you will be an expert by next thanksgiving—maybe by then you can use some of your homegrown vegetables for dinner! 3. SAY NO TO GMO: You may have more in your average turkey or ham than just meat. If you do not specifically get an organic turkey or ham, you may run the risk of indirectly consuming GMO corn & soy that was previously ingested by the turkey. a. Want a CHALLENGE? Try a meatless Thanksgiving and plump up your menu with other creative meatless dishes. Try Barbecued or Baked Stuffed Acorn Squash: http://vegetarian.about.com/od/vegetarianbarbecuerecipes/r/bbqsquash.htm. a. Want a CHALLENGE? Instead of deep-frying that turkey, consider baking it in your oven. If you use cooking oil for other dishes, consider using non-GMO alternatives such as olive oil or grapeseed oil. a. Want a CHALLENGE? Look back on your energy bill from last year and aim to lower your consumption. Have a safe, sustainable, and happy Thanksgiving.